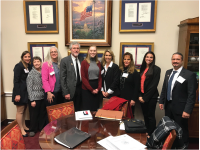 "Meeting with a Congressional office was a great learning experience for my staff. I urge you to go to your legislator's offices, take your staff with you, and let them be part of the process. It was very gratifying to see the enthusiasm and "awe" in their faces as a result of their experiences. The more of us there are, the stronger the message and the louder the voice!" Have you visited with a Representative at the State or Federal level? Let TAHC&H know! 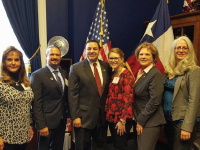 For nearly 50 years, the Texas Association for Home Care & Hospice's political advocacy efforts have ensured that its members have a strong voice in state and federal levels of government. 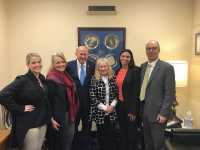 We work with our lobbyist team, membership committees, grassroot advocates, and the Texas Homecare & Hospice PAC to affect change on diverse industry issues in Austin and Washington, DC. 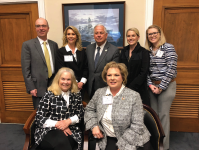 March on Washington is an annual TAHC&H event and serves as a chance to advocate for home care & hospice policy priorities with fellow members, network, and see the sites! You will meet your member of Congress (or their staff)! Developing a relationship with Congressional offices is one of the best things you can do for your agency and the industry at-large. They may consider you a resource on healthcare issues. 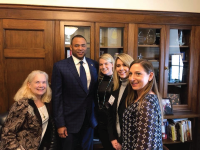 Meet new home care & hospice providers or see familiar faces while enjoying TAHC&H member receptions, campaign fundraisers, and group visits on Capitol Hill. We are here to talk with you about legislators, our policy priorities, or to hear about your visit with an elected official!